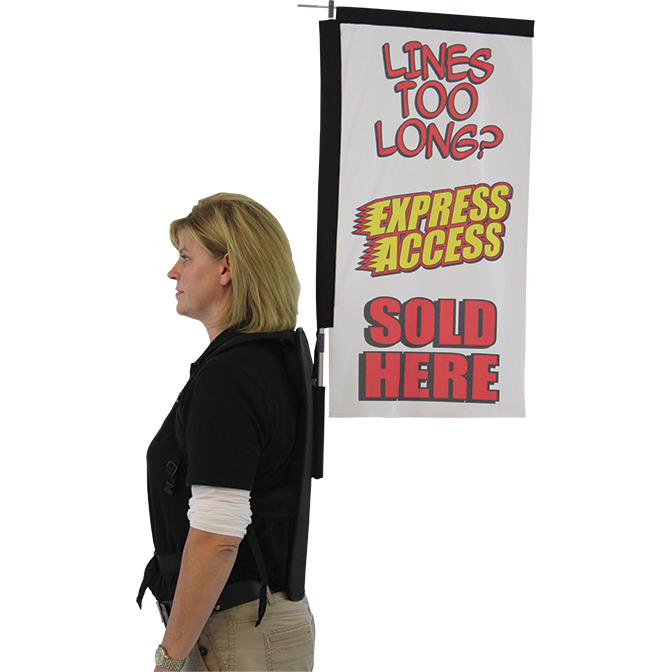 Combine the attention-grabbing aspects of flags with the helpful informative nature of a salesperson when you use a Backpack Flag! Choose from three different shapes, two layering styles, and the full range of our customized printing abilities. 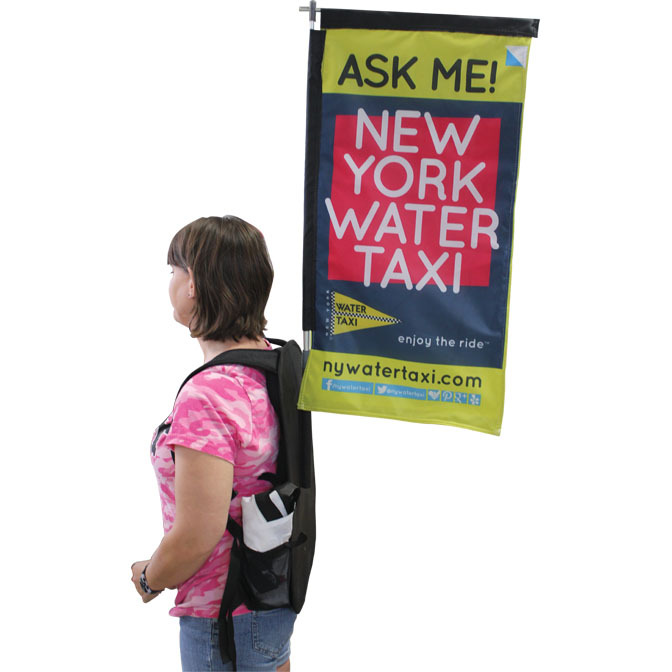 Whether you’re looking to advertise for a new opening or drum up sales at a fair or event, the Backpack Flag will ensure that you’re out there in the public eye. 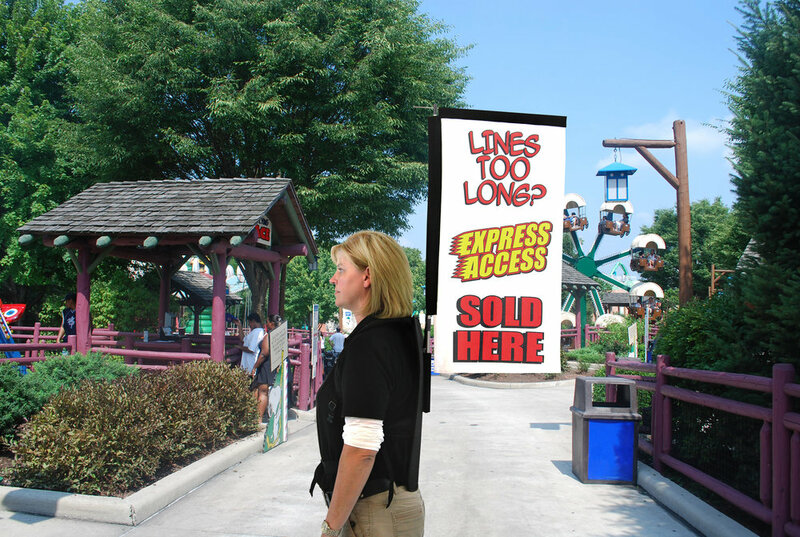 With brilliant printing in both single- and double-sided options, you can draw attention to your booth or business with ease. We have a wide selection of stock art that you can choose from or use one of our downloadable templates to design your own and make your flag the perfect fit in your advertising plan! The backpack portion of the set has the regular shoulder straps, allowing the user to easily slip the combined set on and off. The back of the fabric portion has a connected flag pole base pocket. Bases of the flag poles are slid in from the top – make sure the flag is pointed out from the backpack during installation. Videos showing flag and backpack assembly and our available styles can be seen here. Each backpack has a support strap around the waist in addition to the backpack arm straps to ensure that the flag stays tall without needing adjustment. 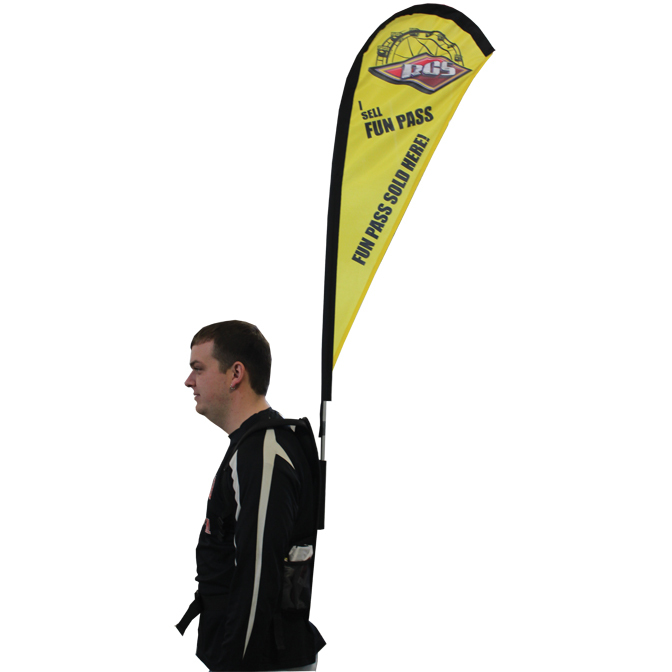 With your flags attached to your salesperson, you can be sure to move in time with the ebb and flow of assembled crowds for maximum exposure! All flags are created using dye sublimation printing for lightweight products that are resistant to fading for up to two solid years of constant use and exposure.